As marketers, we embrace the expectation that we have to constantly come up with new, innovative methods for reaching target audiences. We love to come to work in the morning where every campaign needs to be a “game changer.” We strive to conjure up “purple cows” every day. Marketing spend needs to go further to meet these elevated expectations. But in this new digital reality, how do you be both efficient and effective, and how do you differentiate your brand in a crowded marketplace where everything is presumed to be new? 1. Customer data is skyrocketing as big campaigns plummet. Data on customers or potential customers is readily available. Demographics, behavior, interests, browsing history, previous purchases, and on and on. All of this data can be used to deliver personalized, relevant content to individuals across any channel, leading to the death of the one-size-fits-all campaign. 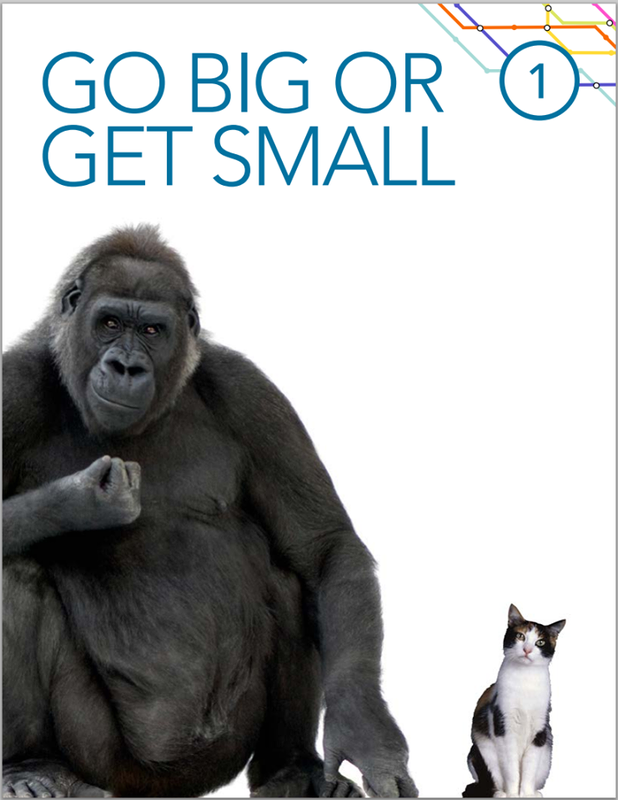 The days when marketers would do a long march towards a big campaign launch are over. We need to be executing daily, weekly or monthly campaigns that are consistently optimized and put into the world. 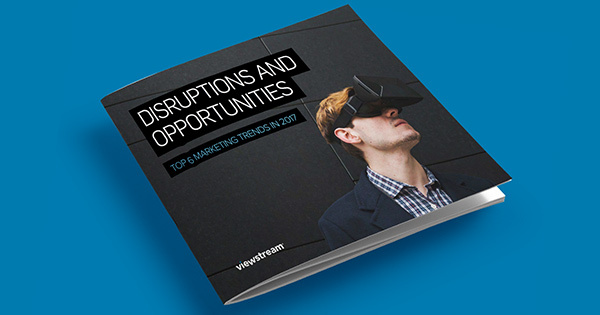 To discover the rest of the key trends, such as virtual reality and the future of email, download the report today. 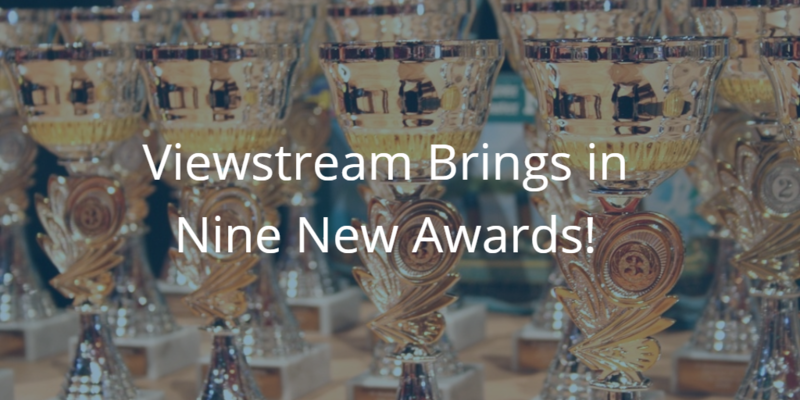 Viewstream Brings in Nine New Awards! Viewstream is excited to be bringing home some new hardware! Between the awards programs of the Telly Awards, Communicator Awards and Hermes Awards, Viewstream received nine. The 37th Annual Telly Awards has awarded Viewstream five Bronze awards in the category of Online Video. With over 13,000 entries from all 50 states and numerous countries, this is truly an honor. The Telly Awards, a premier award honoring outstanding creative work in video and film productions and online commercials, recognized Viewstream for creative videos for Autodesk and ClearCare. Two of those same videos each received Silver Awards of Distinction from the Communicator Awards, the international awards program honoring creative excellence for communication professionals. Finally, the Hermes Creative Awards has presented Viewstream with two awards in the categories of Microsite and Interactive Capabilities. Our work with Autodesk Suite Recommender earned an Honorable Mention and the Autodesk InfraWorks Microsite earned the Platinum Award, the award given to those entries judged to be among the most outstanding in the competition. We add these nine new awards of recognition to our collection of previous distinctions for our work with clients including Microsoft, Autodesk and Adobe. Thank you to all who helped us get here! See our complete list of awards here. 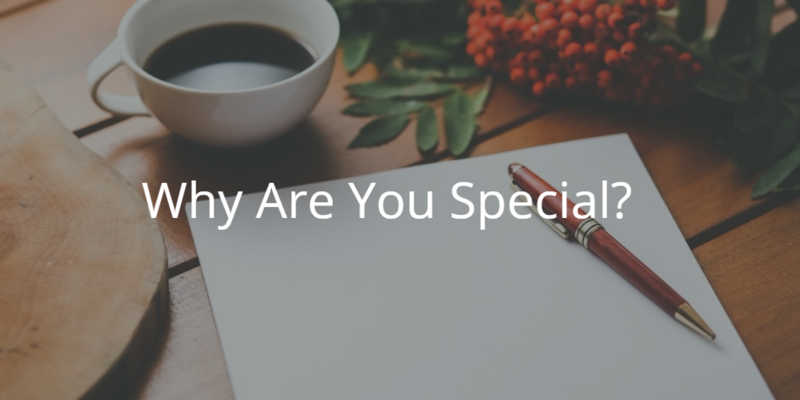 Getting marketing right requires a real understanding of why your product and company is unique. To help, Viewstream created a “Positioning Generator“. It’s the marketing team’s Mad Libs. Fill in the blanks based on the prompts provided and get your positioning statement. It’s sure to get you thinking, at least. This type of statement ought to be a default part of your messaging, communication and go-to market arsenal. What can marketers learn from comic books? Succinctly said, the power of comic and graphic novels occur in between the panels. Between panel A and panel B, a world of curiosity, sensibility and feeling is unlocked. It’s not what is said or shown, it’s what is not said or shown that is unique. Think about that from a marketing perspective. How many times do we try to say too much about our product, solution or brand? 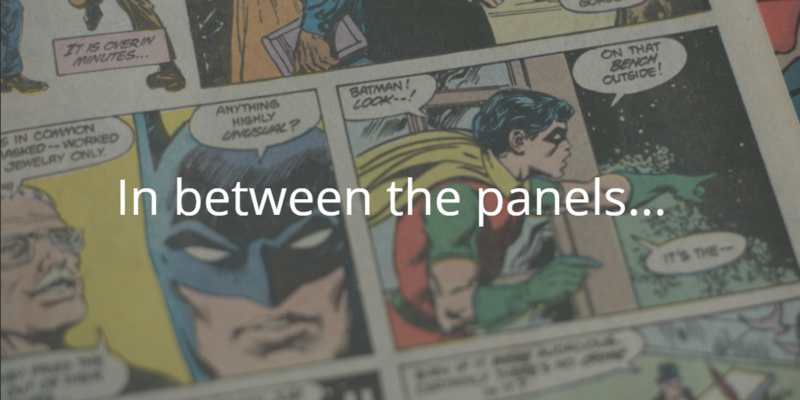 Comic books teach us to think about what occurs “in between the panels”. Say and show something creative. Then let your audience imagine. Let your audience translate their needs and desires into something our offering delivers. What would happen if, for your next marketing project, instead of saying everything, you left some things for ‘in between the panels’? Give it a shot and let me know how it works. Viewstream is thrilled to receive top honors at the 36th annual Telly Awards. The Telly Awards, a premier award honoring outstanding creative work in video and film productions, online commercials, video and films has presented our agency with two accolades this year. Of the nearly 12,000 entries, Viewstream was recognized for its creative work supporting the products and brands of some of the largest companies in the world. We received a Silver Telly Awards – the highest honor – for our work with Autodesk Seek in the Online Webisodes, Segments, or Promotional Pieces – Use of Graphics category. Autodesk Seek from Viewstream on Vimeo. Additionally, a Silver Award was presented for Viewstream’s work for Adobe Media Optimizer in Online Commercial – Use of Graphics. Adobe Media Optimizer from Viewstream on Vimeo. We add these two new Silver recognitions to our collection of seven previous distinctions by the Telly Awards for our creative work in online videos for clients including Microsoft, Autodesk, Adobe and ERA Real Estate. Viewstream was recently presented with two 2014 Telly Awards in the Art Direction category. Our video for ERA Real Estate revealed the location of their 2015 International Business Conference (IBC15) to their global community at IBC14 this past March in Los Angeles. The IBC15 Reveal video earned the highest honor of the Silver Telly Award. Additionally, a Bronze Award was presented for Viewstream work for Autodesk Point Layout in Internet/Online Video. 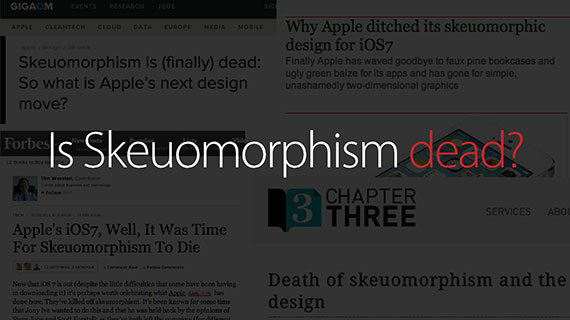 We were up against a lot of competition—12,000 entries from around the globe were submitted. Entrants included ad agencies, interactive agencies, production firms, in-house creative professionals, graphic designers, design firms and public relations firms. The winners were announced in New York on June 16. All the work was judged by a panel of 500 Silver Telly Council members representing a variety of distinguished media, advertising and marketing firms. Each year, the council honors creative excellence for communications professionals across the world by recognizing the best in advertising, corporate communications, public relations and identity work for print, video, interactive and audio. We’d like to congratulate all of our fellow Telly Award recipients and thank them for their important contributions to the industry. Check out the visual portion of our design team’s presentation here. View the top ten marketing trends for 2014 from Viewstream. Any trends resonate for your marketing mix in 2014? Elekta, a leader in clinical solutions for radiosurgery and radiation therapy, recently completed construction on a state-of-the-art learning center in Atlanta, Georgia—the company’s North American headquarters. The Learning and Innovation Center (LINC) is expected to draw clinicians, researchers, and health IT professionals for education, training, and collaboration on Elekta’s solutions for treating cancer and brain disorders. To help generate awareness, Viewstream created an interactive, virtual tour of the LINC facility that can be explored using the Oculus Rift virtual reality headset. 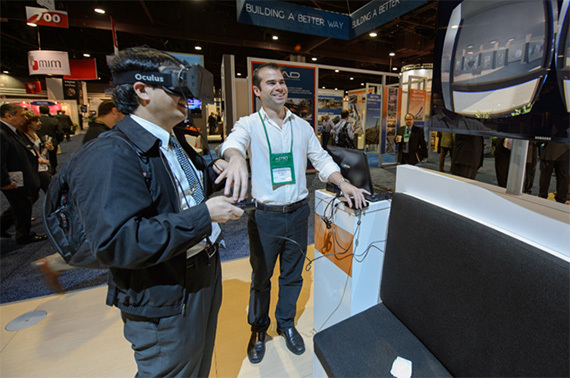 Elekta invited attendees of the ASTRO 2013 conference to wear the Oculus Rift and experience the Learning and Innovation Center in virtual reality. To help build a buzz, the virtual tour was promoted before and after the conference through Elekta’s social channels, including YouTube, Facebook, and Instagram. In the end, the virtual tour received overwhelming positive responses from both the client and the conference attendees. Viewstream created the LINC virtual tour using Autodesk Maya, the Unity game engine, and the Oculus Rift developer’s kit. The visual model was created in Autodesk Maya, using a combination of photos, videos, and blueprints of the facility. The model was then imported into the Unity game engine, where it was given physics, movement, and lighting. Finally, the resulting program was calibrated with the Oculus Rift headset using the product’s developer kit to create the interactive, virtual tour. Viewstream was recently presented with six 2013 Communicator Awards by the International Academy of Visual Arts (IAVA) and three Telly Awards by the Telly Council. Our video Dabble: Make History, featuring iPad and iPhone product captures, received a Gold Award for Excellence. Three videos created for Microsoft garnered Silver Communicator Awards of Distinction and three Bronze Telly Awards. Additional videos for Autodesk also earned Silver Communicator Awards. We were up against some serious competition—6,000 entries were submitted to the IAVA and 11,000 to the Telly council. Participants included ad agencies, interactive agencies, production firms, in-house creative professionals, graphic designers, design firms and public relations firms. The Communicator Awards is the leading international creative awards program honoring creative excellence for communication professionals. Founded more than a decade ago, the annual competition recognizes the best in advertising, corporate communications, public relations and identity work for print, video, interactive and audio. The Telly Awards is the premier award honoring outstanding local and regional cable television commercials and programs, video and film productions and web commercials. Winning entries represent the best work of the most respected advertising agencies, production companies, television stations, cable operators, and corporate video departments in the world. We’d like to congratulate all of our fellow Communicator and Telly Award recipients and thank them for their important contributions to the industry.